Toronto: Kids Can Press, Ltd., 2012. 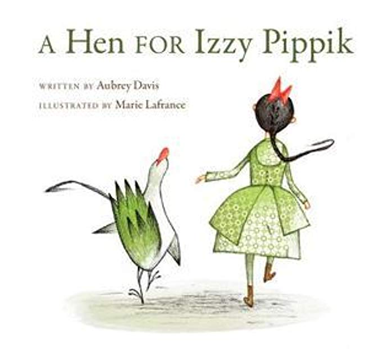 When Shaina finds a magnificent hen, she knows that Izzy Pippik, the hen’s owner, is sure to return for her. In the meantime, Shaina decides she will care for the animal. But when dozens of eggs hatch and rowdy chickens scatter throughout the village, Shaina must fight the entire town if she has any hope of protecting the birds. Inspired by Jewish and Islamic traditional texts, this is a beautiful tale about doing the right thing, even in the face of adversity.